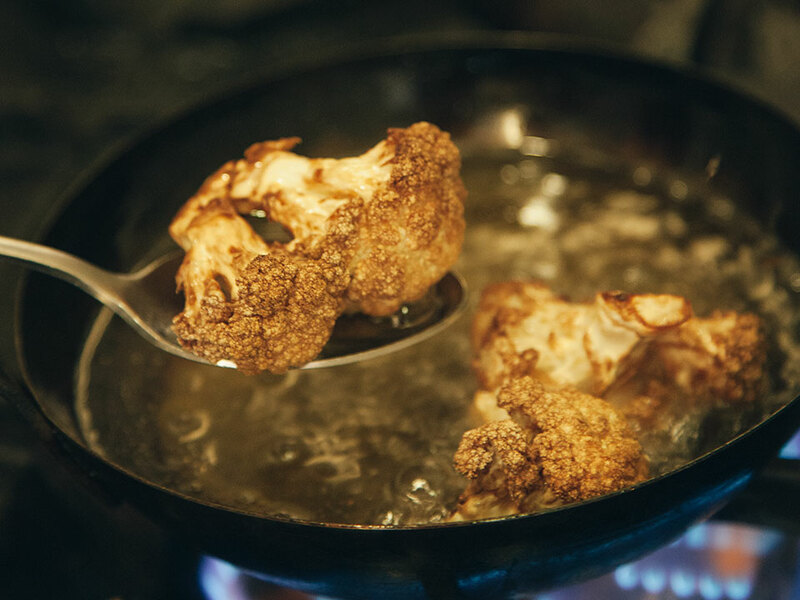 Everything is better from a fryer! 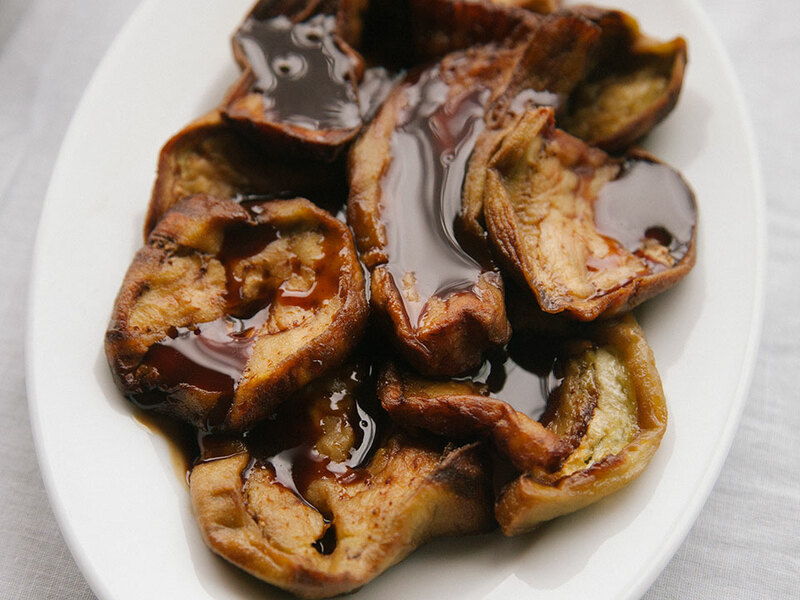 Especially zucchini, which gets crispy, and eggplant, which turns soft and melting. Kelkass (Colocasia esculenta) is one of those weird old vegetables that you may not know how to use. Still, its plant is the most gracious ever, with large, light green leaves called elephant ears (if ever someone happens to see the plant!). 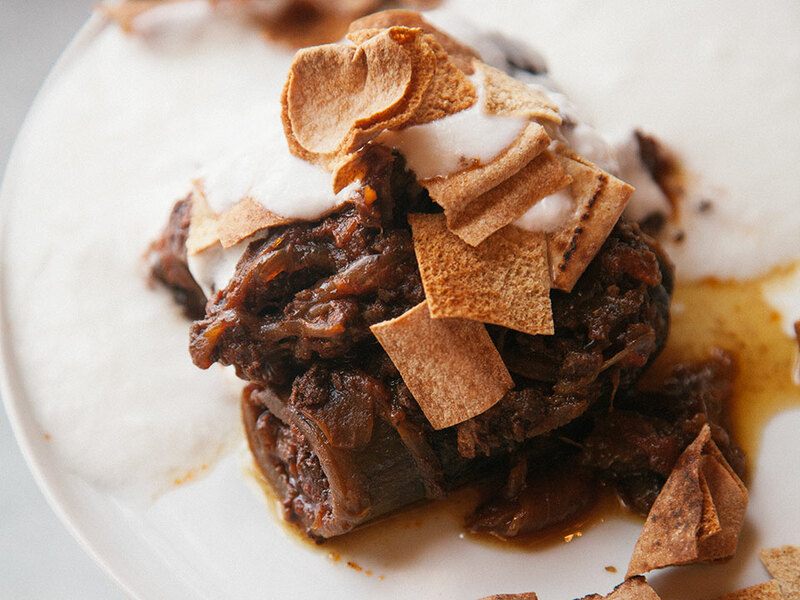 Another take on the fatteh is this one, with deep-fried eggplant. 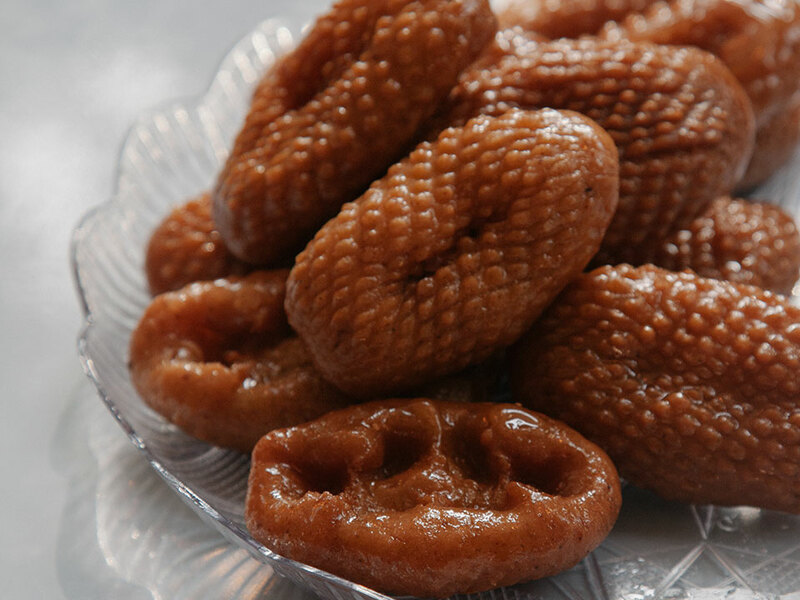 Fried sweets are a staple of party days, when village squares are filled with cauldrons of boiling frying oil producing a variety of fried treats. 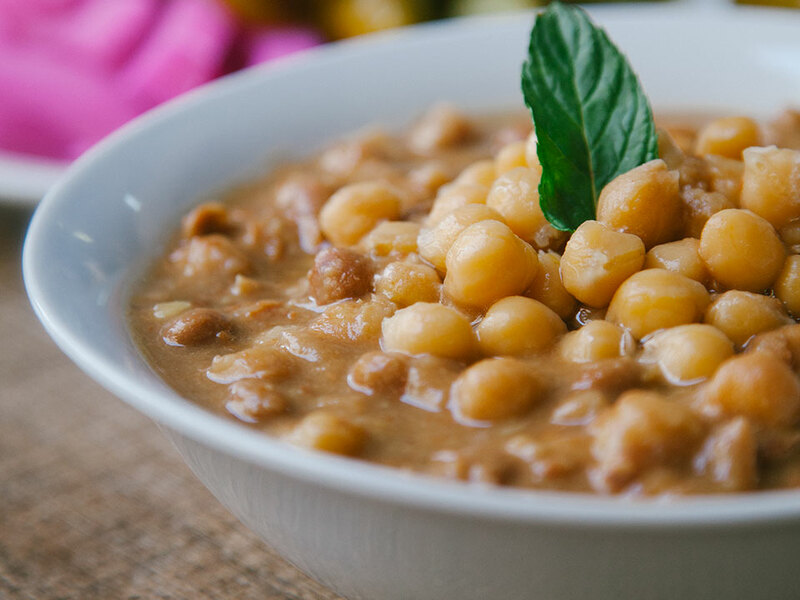 Foul means “fava beans” and is the name of the green fava (foul akhdar), the dried beans, and the dish itself. Foul medamass (seasoned fava) is somewhere between a salad and a stew. Tarator is not a dish, but rather a very versatile sauce. 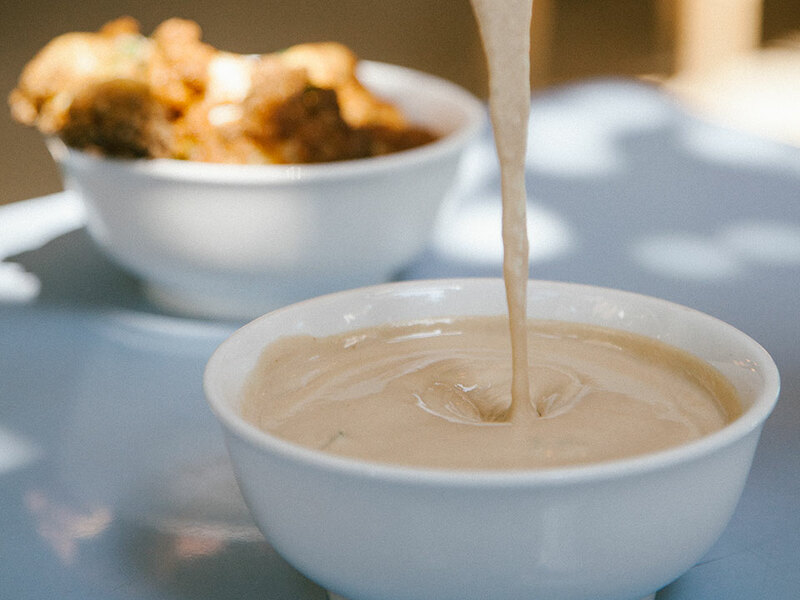 It is the definite sauce for falafel and shawarma and also goes well with baked fish, deep-fried cauliflower, or simple boiled potatoes (with a bit of parsley on top). 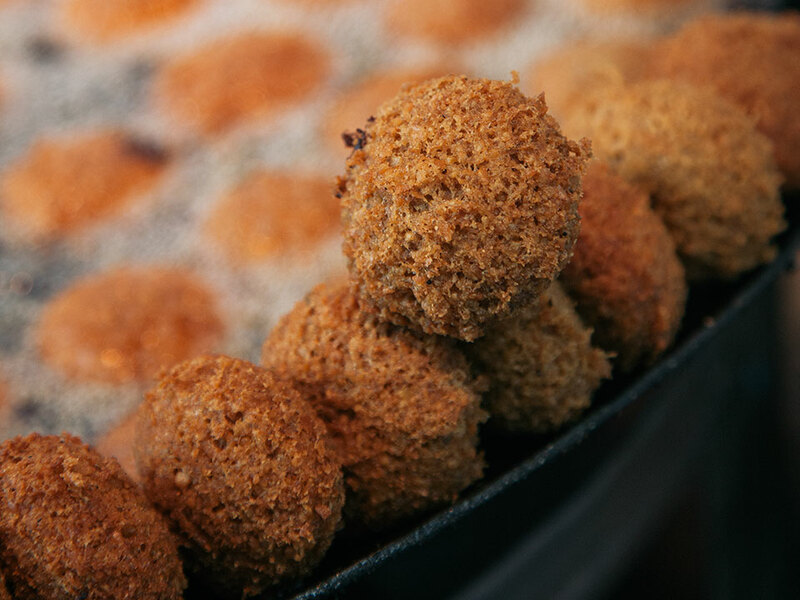 There is always space to argue about variations on dishes, and so it is true with falafel too! Where is it from? Where is the best one? How should it be made? I’ll stop on this last issue! 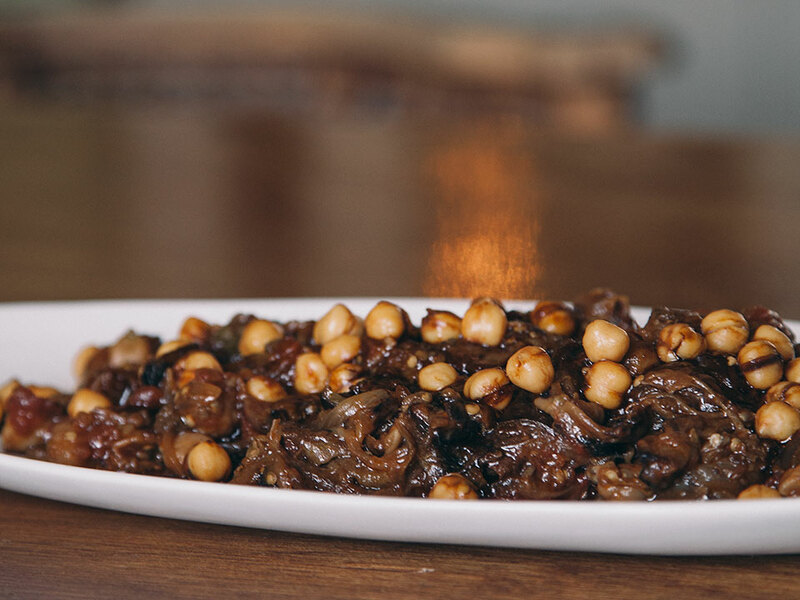 Massaa’ means “cold,” and you might wonder if this dish has this name because it is eaten cold, or because the name and the dish resembles the Greek moussaka (minus the meat). 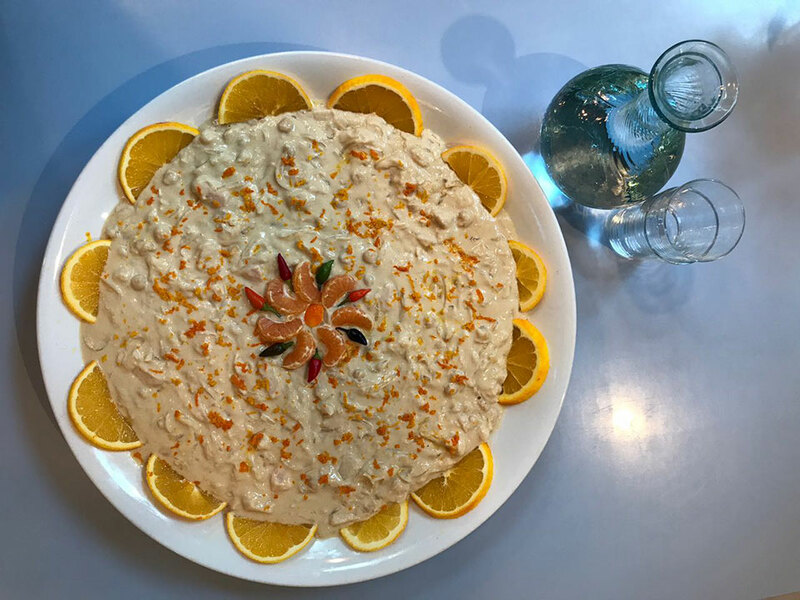 Fatteh comes from fatta, meaning “break,” as in breaking the grilled bread of the fatteh. 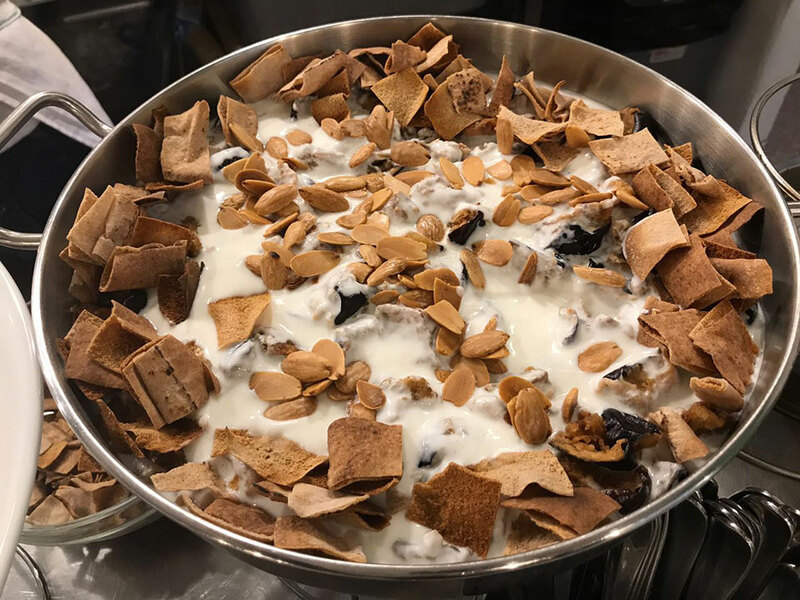 Fatteh is a staple souk breakfast, originally a Damascene specialty: a yogurt sauce (a hint of garlic and some tahini that will soften the yogurt’s taste) and “broken” grilled bread over cooked chickpeas, cubed eggplant, beef tongue, mutton feet (!) … or over stuffed eggplant.